The Scottish Government have recently launched a consultation that proposes to permanently provide protection for the world’s largest flame shell colony, at Loch Carron. 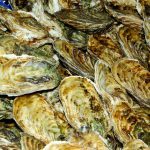 This article from Save Scottish Seas discusses what this could mean for our seas and how to respond. Flame shell beds are made up of hundreds of individual flame shells, small bivalve molluscs with fiery orange tentacles, that form ‘nests’ from shell gravel, stones and other materials they find on the seabed. These fragile structures provide protection from predation for the molluscs to live and rear their young, also benefiting a range of other marine organisms. In summer 2017, following damage to a Flame shell bed in Loch Carron that had been confirmed earlier that year prompting emergency protection, divers discovered that the outer Loch Carron flame shell bed is now thought to be the largest known in the world. Today, the Scottish Government has launched a consultation to permanently protect this incredible example of marine life in Scotland’s seas. The largest flame shell bed was previously thought to be in Loch Alsh, where 100,000,000 flame shells were identified by divers in 2012, bolstering the case for the Lochs Duich, Long and Alsh MPA subsequently designated with 29 others in July 2014. However, dive surveys by Scottish Natural Heritage (SNH), Marine Scotland Science and Heriot-Watt University found that the Loch Carron flame shell bed stretched across 82 ha and also discovered previously unknown colonies of maerl, a pink coralline seaweed which, like the flame shell beds, provides refuge for many hundreds of species. The discovery formed part of more extensive survey work that followed on from the official surveys earlier in the year that had corroborated the findings of local recreational divers, some Seasearch-trained, co-ordinated by locally resident marine biologist Sue Scott. The Loch Carron Marine Protected Area (MPA) was designated as an urgent measure in April 2017, after a scallop dredger passed over the reef area causing extensive damage. As an emergency measure, this MPA lasts for a maximum of two years, but the proposals launched would make the site a permanent addition to Scotland’s MPA network and extend it to encompass the maerl beds. Save Scottish Seas campaign members welcome the proposed measures that would support the recovery of the damaged flame shell beds, and help protect both flame shell beds and maerl beds for generations to come. Flame shell beds are a vital part of marine ecosystems – acting as a nursery ground for commercially important scallops, as well as providing good hunting grounds for young fish. Although there are signs of recovery of the damaged beds, they will need additional protection to allow them to recover to their former state. Maerl beds are also an important habitat for many small marine animals and plants such as sea cucumbers, anemones, urchins, worms and young scallops are known to seek out living maerl beds as nursery areas. Maerl is also an important blue carbon store – storing carbon that would otherwise be released into the atmosphere. Both maerl and flame shells are very sensitive to activities such as dredging, and maerl is particularly slow growing. That is why the consultation launched on the 20th March, and the Scottish Government’s plans to review protection for Priority Marine Features throughout Scottish waters, are so important. We encourage you to take a look at the proposals and respond positively to the consultation. As we highlighted last year, the events at Loch Carron highlight how important it is to also have specific measures to manage fisheries and other marine activities outside of MPAs. 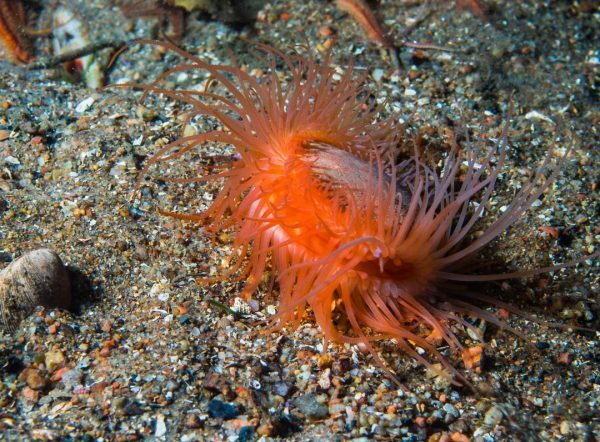 We look forward to the Scottish Government work to ensure that fisheries do not significantly impact the national status of flame shell beds and some other Priority Marine Features (PMFs) outside the MPA network. This article was originally posted by Save Scottish Seas titled Consultation launches to formalise protection for world’s largest flame shell bed on 20/03/2018.